I became fascinated by snow leopards five years ago. They can jump higher and farther than any other cat. They are very beautiful and very rare. In fact, snow leopards are endangered animals. They have long been hunted for their fur and bones and due to conflicts with local villagers. Estimates show that there may be as few as 3,500 snow leopards left in the wild today. I wanted to do something to draw attention to these animals before we lose them. 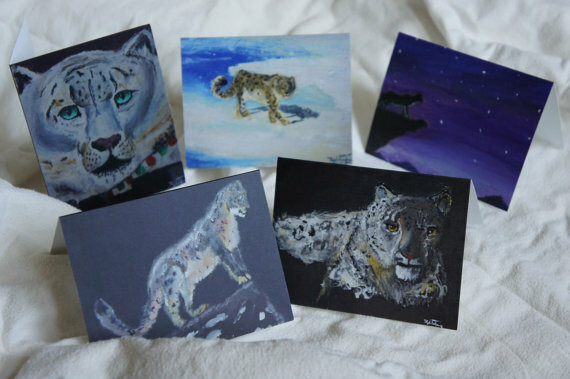 I’ve spent many years sketching and painting snow leopards, and now I’ve created a set of full-color greeting cards with their images. I’m hoping to sell the cards and will donate all of the proceeds to causes that keep these cats from going extinct. They are priced at $20 for a set of 10 cards. If you’re not interested in buying them, another great way to help save snow leopards is just by raising awareness to their plight. How could a person not want to support Kyle in his efforts?! Ava Abramovitz in New York is another young person who has impressed us with her desire to help wild snow leopards. 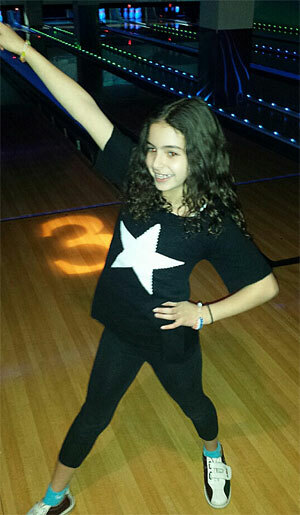 For her 9th birthday on December 14, Ava had a fun-filled bowling birthday party and invited several friends. Her one request of these friends was instead of giving her a gift, they make a donation to Snow Leopard Conservancy. As a result, Ava was able to send $170 to the Conservancy. Ava is definitely a star in conservation efforts! Nine-year-old Megan in Staffordshire UK chose to highlight the plight of the snow leopard as a project for school. She just knew this was the animal that was right for her to raise awareness about. While researching online she was appalled by images of a snow leopard pelt and a trapped snow leopard, but was touched by the work the Conservancy is doing to save them. With the help of her grandfather, Megan sent a donation of $20 to Snow Leopard Conservancy to continue her support for these beautiful creatures. Thank you, Megan! Lisa Hinshelwood’s third grade class at The Nueva School in Hillsborough, California ran a farmer’s market in the spring of 2013 and donated $99.15 to Snow Leopard Conservancy! In the fall of 2013, the new group of third graders conducted a Skype interview with Dr. Jackson in order to learn more about snow leopards, what is being done to help them and what they can do to help the cats. We’re send three big cheers to Lisa Hinshelwood and all of her students! Young Nolan Plut cried when his parents told him snow leopards are endangered. He decided to do something aobut it. 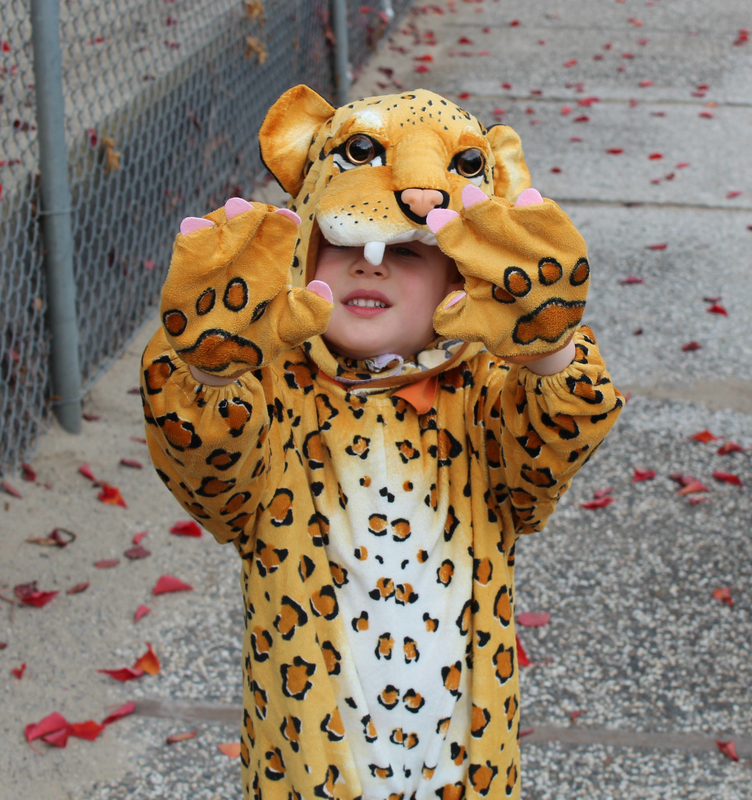 This budding conservationist donned a leopard costume and raised $172 for Snow Leopard Conservancy by campaigning in his front yard! That’s a kid we’d love to have living on our block! The passion and dedication of all these kids is so inspiring. They are the next generation of conservationists and already heroes! ← Why Are These Cubs So Special?